I've almost hit my one year mark and I've been loving every second of it! I've learned so much and met some incredible people a long the way. So, what makes blogging so fun? It's different for everyone, but for me, here's what has made it stress-free almost stress free. When I started out, I didn't know where to begin. I would write about what I wanted to. That's a give in. We all should write about what we want. That's the whole point of blogging, right? I quickly realized that there is more to it than that. Today, I want to share with you a few more things I've learned. My first post, Tips on Blogging from a 'Newbie', got a lot of responses from new bloggers who were looking for a little bit of help. Here's what I've learned since. Keep the sidebar clutter-free. I thought of many different ways to keep my blog clutter at bay. Then I thought of placement. I utilized a drop-down menu to create more pages to send traffic to so there wasn't so much information in one space. This has worked out great. Now, when I create a printable or organizing post, I can place it there and know that it's simple to find. Love link parties? I have a page for all of the ones I visit weekly not only for myself but for everyone to see in one place. I've placed my blog button on my "about me" page to utilize my sidebar for other things. When you've reached that peak in traffic that just won't go any higher, opt for a good ol' fashioned link party. It's a great way to learn new things, meet new people and learn more about blogging in general. Placing your social media icons above the fold can make a big difference. This simply means that your visitors don't have to scroll down to see them. I've recently placed my icons below my blog title and notice a difference in activity on my media accounts. This also means that people are more likely to comeback because they'll see your updates. Be an active participant on your blog. Comment regularly. This is important because even though those who have commented may not return to see if you have replied doesn't mean others don't notice. I find myself less inclined to comment on a post if there are no replies to others. It's kind of like talking to a wall. SEO, or Search Engine Optimization, is an important way to make sure your posts are heard. Utilizing SEO allows you to know which keywords work. I use Wordstream to find the best titles for my blog posts. They allow you to use their generator a certain amount of times for free before you have to pay for their service which is awesome because it gives you the opportunity to see if it works for you. When it comes to making money on your blog there are many different ways to do so. Signing up with Adsense is a no-nonsense way to make money when you follow Google's rules. Knowing which ad placement works best for you can make a world of difference. Using affiliate links is a great way to make money blogging. Many affiliate site such as Tomoson or Sverve give you the means to make some extra cash. 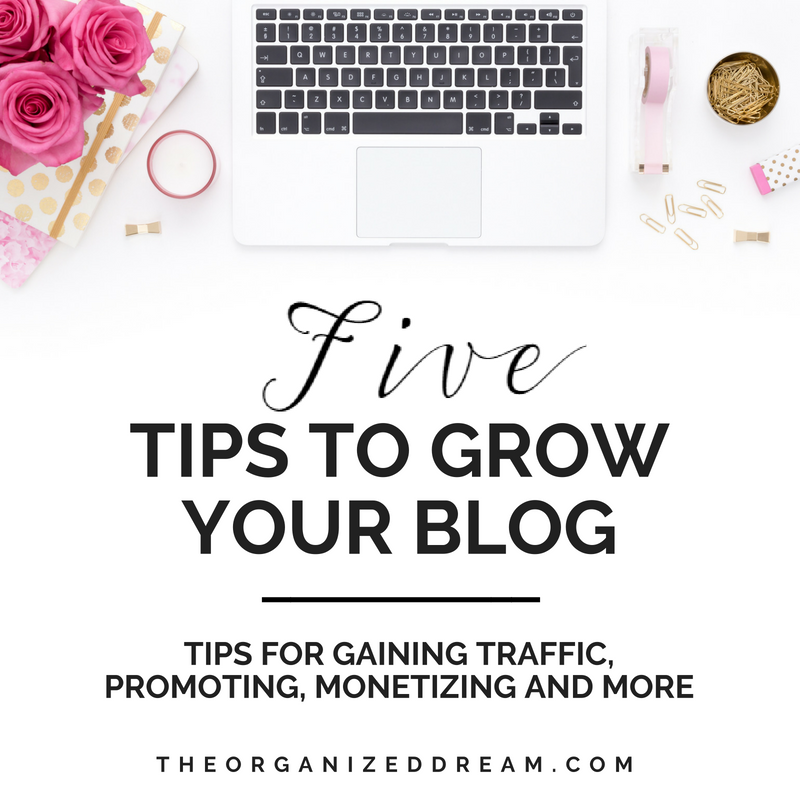 There are others such as influencing networks like Sway Group or Moms Affiliate that require approval before you can become a member which usually requires you to be a blogger for a certain period of time or have certain amount of page views per month. Another way to monetize is to offer ad space on your side bar. It is important to know that providing advertisement to just anyone would do more bad than good. For instance, it wouldn't do anything for your advertiser or your viewers when you blog about makeup and your advertising vacuums. Try to stay within the genre of your blog unless you know it's absolutely right for your viewers. I stress this as both an organizing junkie and someone who played it by ear. Knowing what days your are going to post and what days you are going to promote is going to help you remain sane. There's nothing worse than burning out. I've been there a couple of times already but one of the things I am trying to focus on this year is maintaining a stress-free life in and out of the blogging world and in order to do that, you have to create some sort of schedule. I have been getting in the hang if prioritizing my time and organizing my blogging life. If you already have a planner, keep with it. Eventually, it will be an added thing you do everyday without thinking. Promise! If you don't have a planner, start writing down blog ideas and topics. Think of which days will work best for you to write posts because promoting doesn't take much time and can be done on those days when you can only spare an hour or less. I thought in the beginning that posting a link on Facebook or Pinterest was enough and eventually people would find it. That isn't the case. Some people will never see what you post and with a lot of the social media sites making it more and more difficult to do so, you'll (unfortunately) have to try a little harder. I've always struggled with Facebook and Twitter. Pinterest and StumbleUpon have worked well for me. It could easily be different for anyone, but finding a strategy for sharing your posts is key to getting those viewers to your blog. I reshare posts or other topics on my social media for those who didn't catch my previous posts. Sometimes, I will schedule posts. For Facebook, I use their scheduler. For Twitter I use Buffer. For Google+ I use Google's tag extention, DoShare. I don't schedule for Pinterest though. I take advantage of group boards. I also create a weekly email for those subscribed so they can not only see what I've posted in the past week, but also about the link party I co-host. I include links to past posts and what's coming up next. [ Smiles ] Thank you for telling me about Wordstream. nice article..:) surely motivated me to blog more..
can u check my blog to guide me what i should do to make it better? You're blog is great and your dresses are beautiful! Nice tips and advice! Thanks! These are some great tips! I am constantly trying to improve my blog for myself and as a business. Thanks for sharing! Your spot on about staying organized when blogging! I'm still struggling to find my balance, but it's important to do so! Thanks for sharing! Found you on Two Uses Tuesday link party! I love to organize and I think it is super important when you have a ton of things going on at once like in blogging. These are great tips and do not seem daunting for newbie bloggers like myself. Thank you. I hate when things become too complicated. I had no idea about wordstream. Thanks! Thanks for sharing your tips! I'll have to check out wordstream. I'm visiting from the Turn up Tuesday linkup! Glad I found you...your blog is too cute! A great read, going to try these tips on my blog for sure! Hi Kate! Great tips! Thank you. I'm going to pin your article. 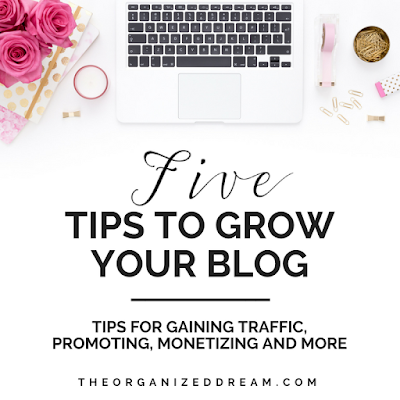 Blogging is an ever growing and learning process! I know it. Thanks for the tips. Thanks for reminding me about wordstream. It's one of those things I always forget to do. Glad I could help, Andie! Thanks for stopping by! This is great advice! I've been blogging just over six months, and I've finally seen an uptick in traffic this past month. I definitely know I need to learn more about StumbleUpon, so thanks for the reminder. those tips are trully helpfull! I've been blogging less than a year and there are so many things I need to know! Thanks for taking the time to write this, really great advice! pinning it! I'm working on this right now. I really hope to grow this year. Thanks for linking up with Turn it Up Tuesday! Pinning! 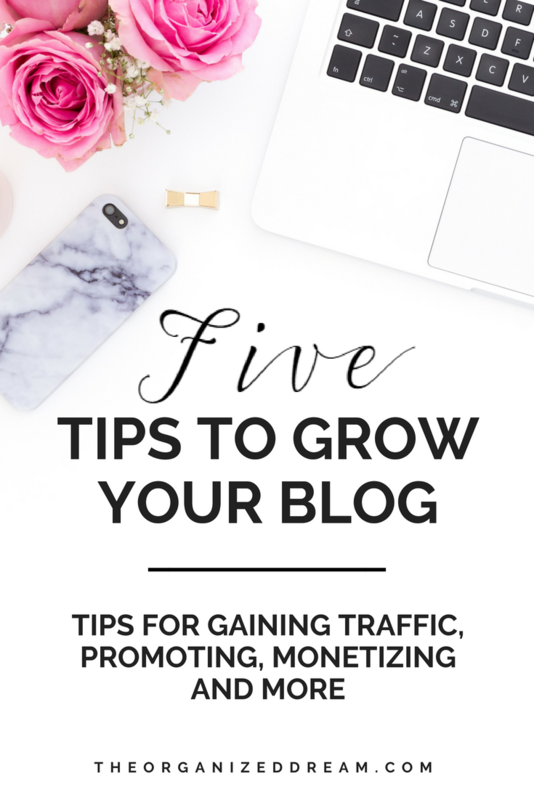 Great post about growing your blog! Love the reminders! Just wanted you to know that you're being featured at our WEEKEND WIND DOWN LINK PARTY today! Thanks for linking up with us! Have a great day! Great tips! Thank-you for linking up to Bloggers Brags Pinterest Party. I have linked this post to our board. Thank you for sharing your knowledge. I am just starting on StumbleUpon because I have heard good things about it. Your words are an encouragement!